Selfie and social media is the new trend at the moment. Not only to capture the moments but it helps to connect one and another. 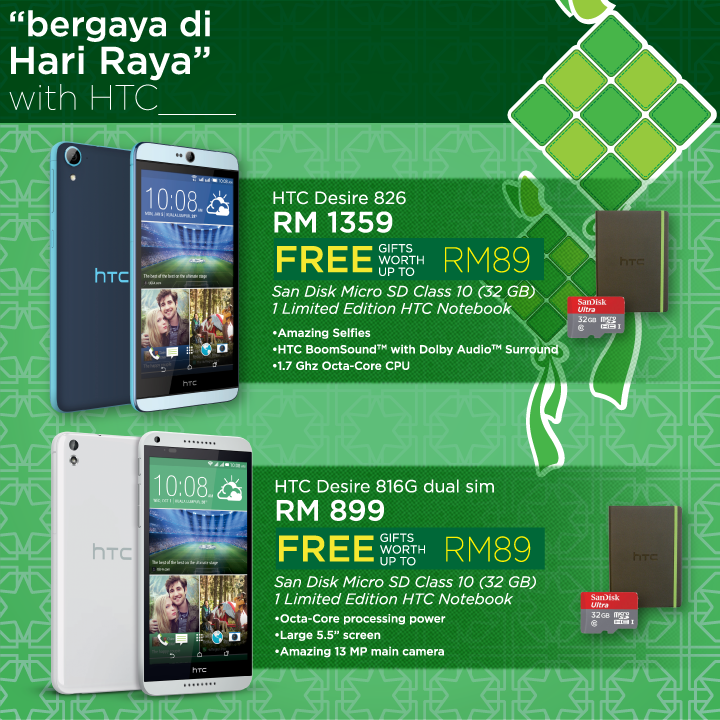 Hari Raya is something that I’m waiting for every year other than Ramadhan. Not only I can meet up with my relatives but also I can spend more time with my family. As a photographer and video producer, I always wanted to put my camera aside during my holiday. 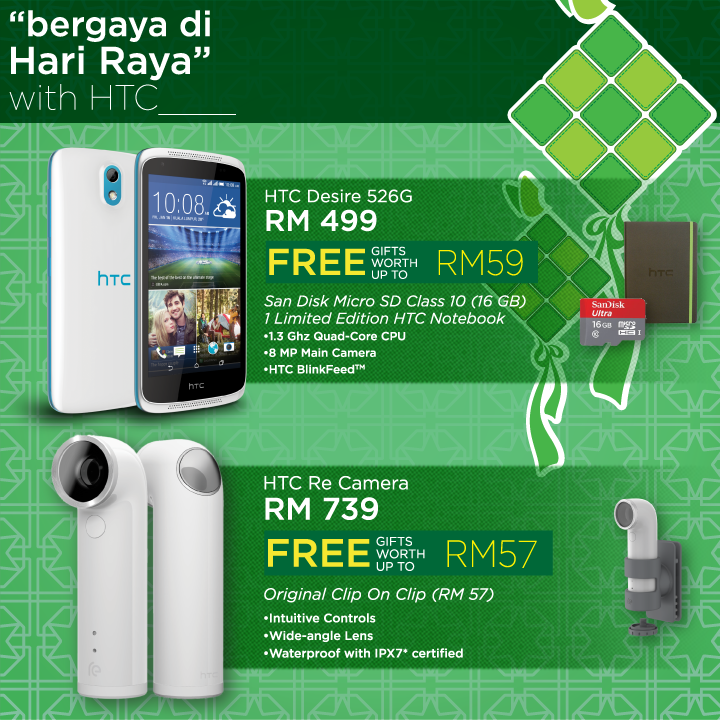 Afraid not, I still want the best photo and video during Hari Raya but I don’t really plan to bring my bulky camera around. 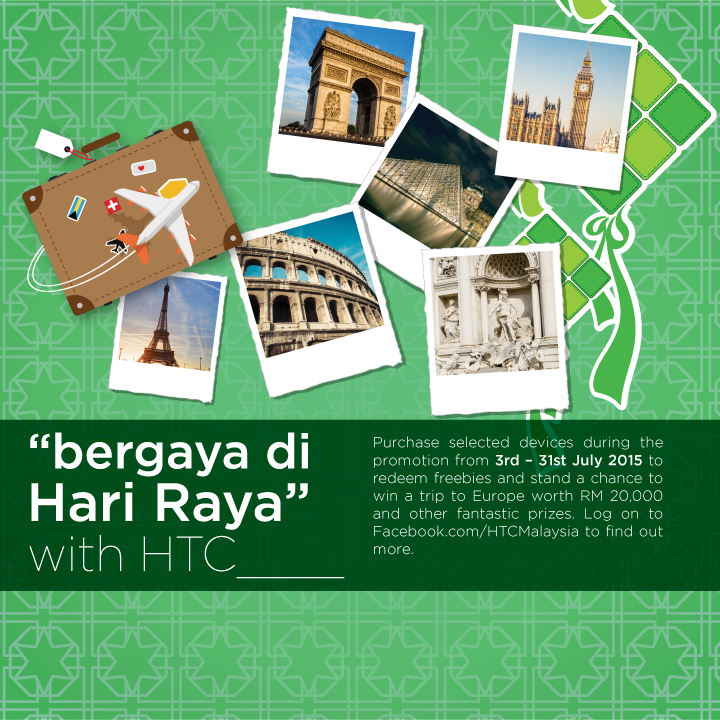 With the great technology nowadays, HTC manage to come out with a good camera function in their smartphone. Now, I don’t have any excuses not to get good shot. 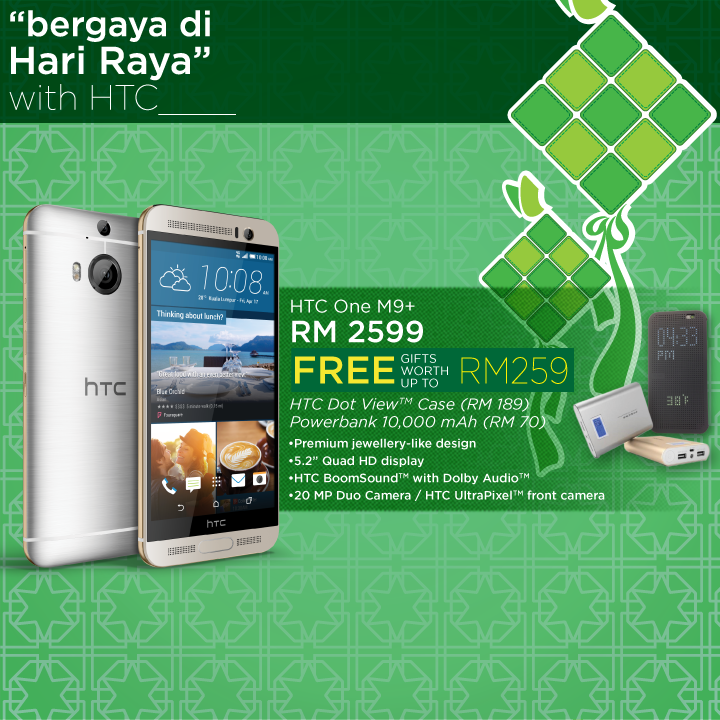 Thanks to HTC Malaysia for having Hari Raya promotion. So, who up for it? 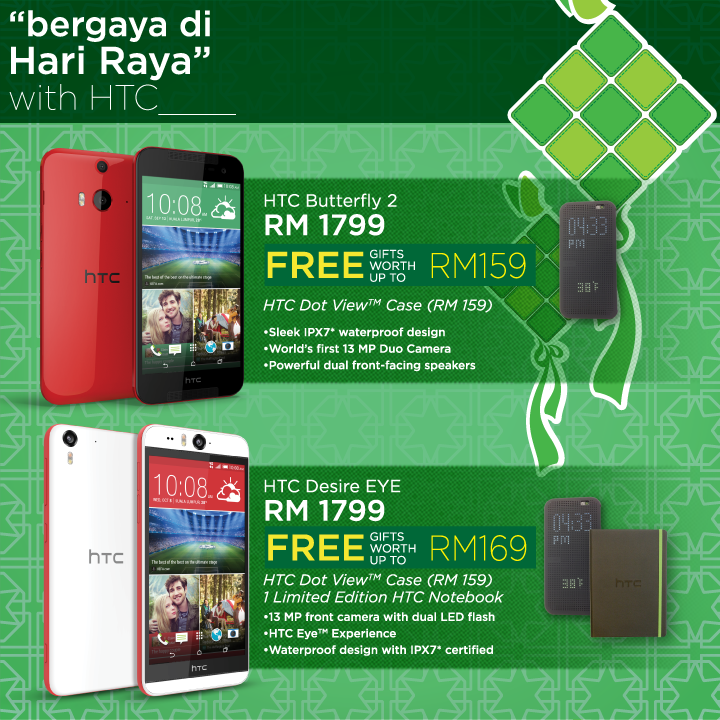 Currently I’m using HTC One M9 Plus, HTC Butterfly 2, HTC Desire 816 and RE by HTC. 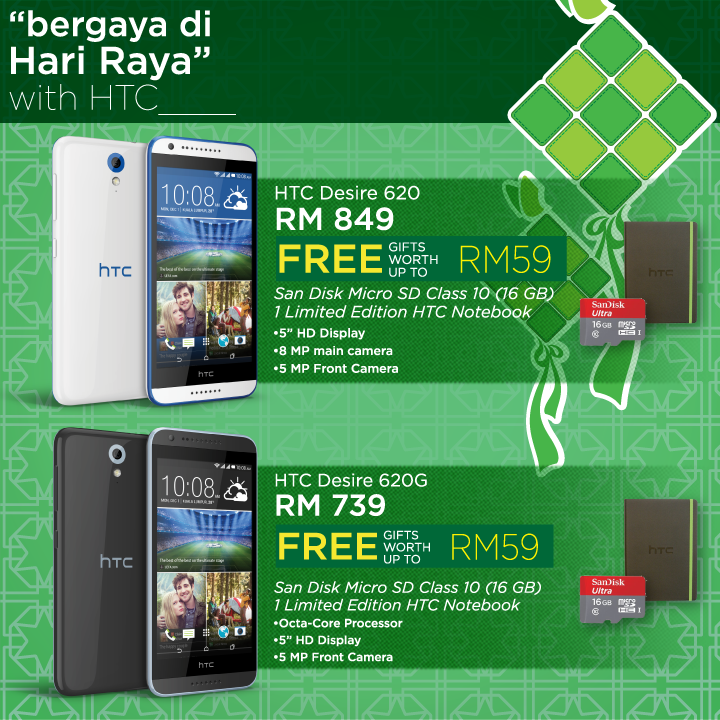 So, what’s your choice of HTC smartphone? Once you have purchased any selected devices in this album and fill in the form here http://bit.ly/BergayaDiHariRaya to redeem and stand a chance to win a trip to Europe worth RM20,000 and shopping vouchers! *Prices shown here are inclusive of 6% GST.